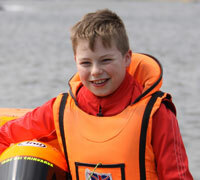 Thomas Mantripp, aged 15, RYA British powerboat GT15 and British Sprint champion. Elliott Kuzyk, aged 15, Topper World Champion, and southern area champion for fifth time. Racing duo Chrispin Beaumont and Tom Darling, both 18,winners of 2016 British youth and national championships, and the Youth World championship in Auckland, New Zealand. Who will be Britain's 2016 Yachtsman and Young Sailor of the Year winners? The votes are now being counted for the annual boats.com sponsored Yachting Journalists' Association Awards ahead of the announcement at a Gala Lunch at Trinity House, London on Tuesday January 10. The finalists for the 2016 boats.com Young Sailor of the Year Award are 15 year old 2016 Topper world champion Elliott Kuzyk, Tom Darling (18) and Crispin Beaumont (18), Bronze medalists at the 2016 29er World Championships, and powerboat racer Thomas Mantripp (15), who won last season's GP RYA British GT15 and British Sprint Championship titles. 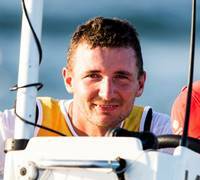 Giles Scott from Portsmouth, capped a remarkable three-year unbeaten record in the Finn singlehander class by winning Gold at the Rio Olympics. In doing so, he also retained his Finn Gold Cup world champion title for the third successive year, and also played a significant role as bowman and tactician aboard Britain’s LandRover BAR America’s Cup challenge, winners of the Louis Vuitton America’s Cup World Series. Brian Thompson from Southampton, one of Britain’s leading multihull skippers, stormed round the Isle of Wight to break this year’s JP Morgan Round the Island Race record, completing the 50 mile distance in 2 hours 23 minutes 23 seconds in the MOD 70 trimaran Phaedo 3. Then in August, Thompson and his eight-strong Phaedo 3 crew repeated the performance to break the outright record with a time of 2 hours, 4 minutes 14 seconds — an average of 24.15 knots. Gavin Reid from Cambridge, was crewing the Clipper Round the World race yacht Mission Performance when an SOS was picked up off the New South Wales coast of Australia from a yacht returning from the Sydney Hobart Race which had a crewman stuck at the top of the mast. Mission Performance was competing in the Henri-Lloyd Hobart to Whitsunday’s leg of the Clipper Race and was nearest to the stricken vessel. Gavin (27) who is profoundly deaf and had zero sailing experience prior to signing up for the Clipper Race, volunteered to swim between the two yachts and found four other crew onboard all incapacitated and unable to help their crewmate who had been tangled in halyards at the top of the mast for several hours. 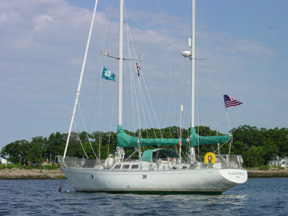 Using the one remaining staysail halyard, he was able to hoist himself two thirds of the way up the swinging mast, then climbed the rest of the way hand-over-hand to reach the crewman, untangle the lines and help to lower him down safely. 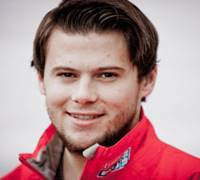 Thomas Mantripp (15), from Lowestoft, won the 2016 GP RYA British powerboat GT15 and British Sprint Championship titles. He also secured a bronze medal at the GT15 UIM European championships, and competing in his first full season in the GT30 class, also collected double bronze in this division too. Elliott Kuzyk (15), from Parkstone Yacht Club, won the 2016 Topper class World championship. 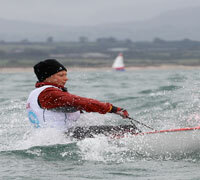 In Ireland, 200 Toppers competed in the second largest ever World Championships, and with no age limitations for competitors, Elliott eventually took the title after a seven-way battle for top spot. He also broke UK regional records by winning the Topper southern area championships for an impressive and unprecedented fifth year in a row.